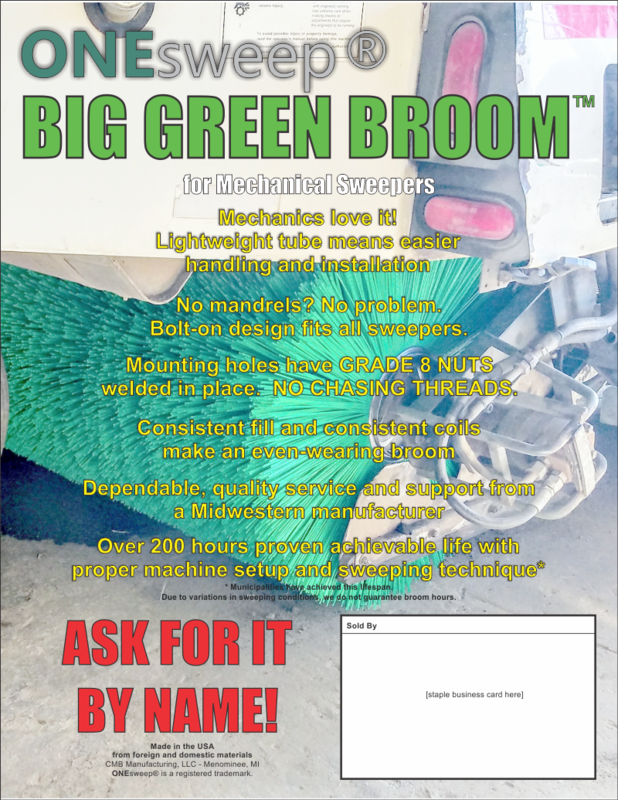 The Big Green Broom™ can be adapted to most mechanical sweepers. Lengths up to 72″ available. Contact us today to find a dealer in your area.